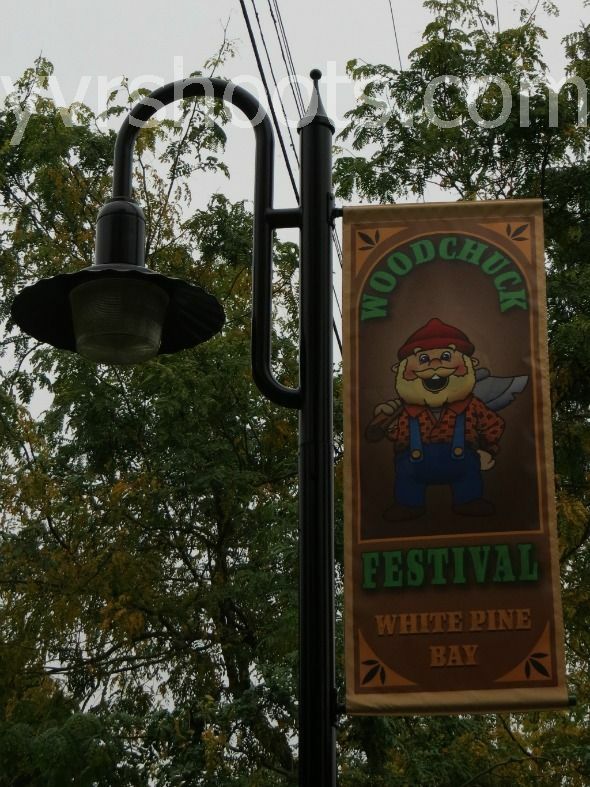 Updated March 25, 2013: Woodchuck Festival used for Norma (Vera Farmiga)’s clandestine date with Deputy Sheriff Shelby (Mike Vogel). 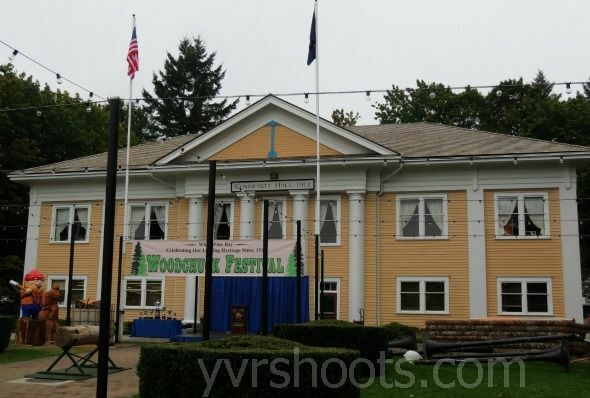 A&E’s contemporary Psycho prequel Bates Motel set up a White Pine Bay Woodchuck Festival at the Fort Langley Community Centre for an overnight shoot last Thursday night. Bates Motel focuses on a younger version of Psycho movie killer Norman Bates (Freddie Highmore) in present-day Oregon and explores his relationship with his unhinged mother (Vera Farmiga) as he approaches his evil destiny. The 10-episode series, scripted mainly by Lost’s Carlton Cuse, is described as a cross between Twin Peaks and Smallville. 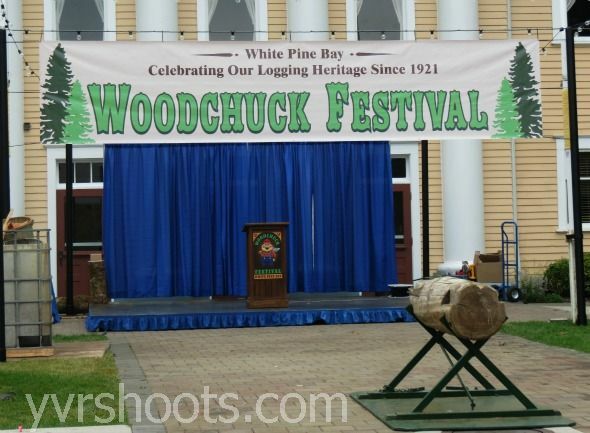 Certainly, the White Pine Bay Woodchuck Festival has a Twin Peaks vibe. 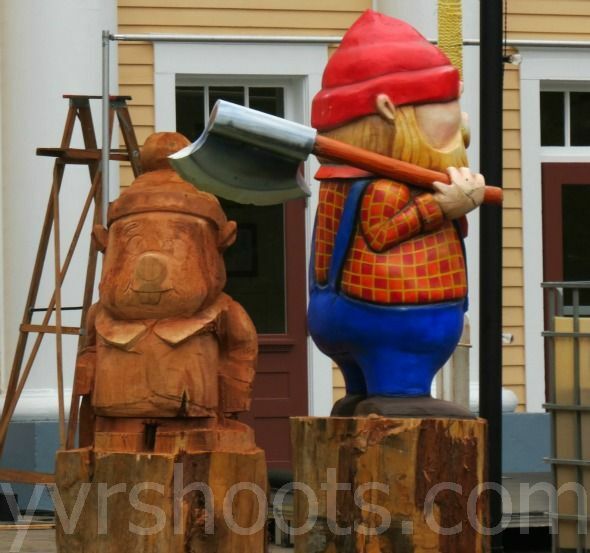 All that’s needed is some cherry pie, a damn fine cup of coffee and a Log Lady to complete the homage. Bates Motel premieres on Monday, March 18th, on A&E. 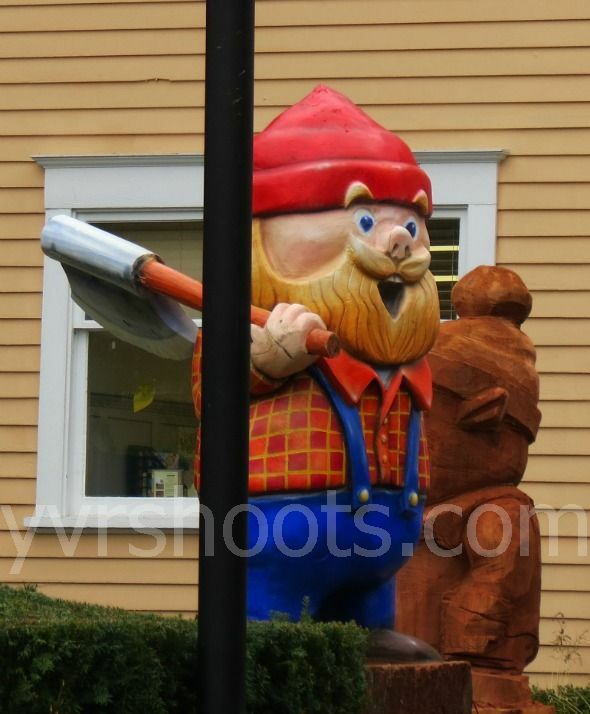 There is one helluva set for Bates setup in Aldergrove, across from the Langley Waste Transfer Station – the full Bates Motel itself and the house behind it, replicating the iconic movie set. Would be well worth your time to drive out here! Thanks for the tip. @Jaxsaid photographed it on the weekend and it is amazing https://twitter.com/jaxsaid/status/257628792028291073/photo/1. Looks like a complete replica of the one used in the original Hitchcock film. Definitely worth a trip out to Langley. Does anyone know when Bates Motel starts filming again this summer? Probably around same time as season one, which started filming in late September last year. Thank you. I’m going to try to get a peek at it. It will be fun just to see the set.Are we able to see it from the other side of the security fence? Just heard from someone who works on Bates Motel that they might start production on the second season earlier. Maybe as soon as July. I don’t know how much you can see past the security fences. 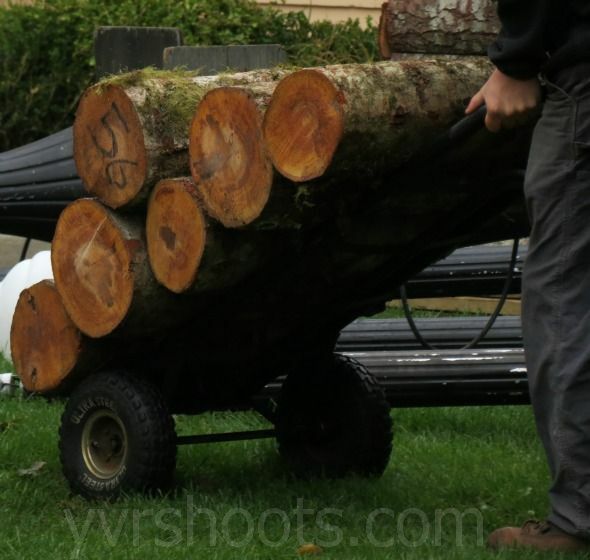 But some people who commented here http://yvrshoots.com/2012/11/bates-motel-set-in-aldergrove-just-like-hitchcocks-psycho.html have been to take a look.